Though I've given the title 'Neyyappam' also, in Kannur(Northern Kerala) 'Neyyappam' is entirely different from 'Unniyappam' that is made of almost same ingredients but little bigger in size and different in shape. I refered them 'Neyyappam' just bcause in many parts of Kerala Unniyappam is also known as Neyyappam as they are made in Neyy -Ghee I guess. 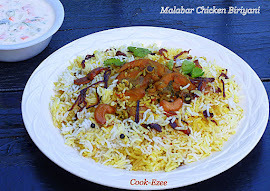 So check out for the recipe here, making them at home and Enjoy!!!!!!! Melt Jaggery in a pot/pan by adding ½ cup of water. Strain to remove the impurities if any and set aside to let it cool completely. Mash or Grind the banana with out adding any water and set aside. Roast the sesame seeds and set aside(optional). 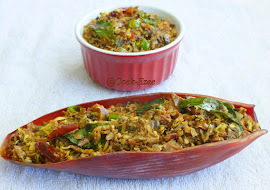 Ghee roast the coconut pieces and set aside(optional). Add Rice flour and Maida into a bowl, pour the melted jaggery to it, stir well with a spoon to mix. Add the ground/mashed banana and stir again. Add the cardamom powder, dry ginger powder, sesame seeds and chopped coconut slices and mix everything very well. Set aside the batter for around around 2 hours. 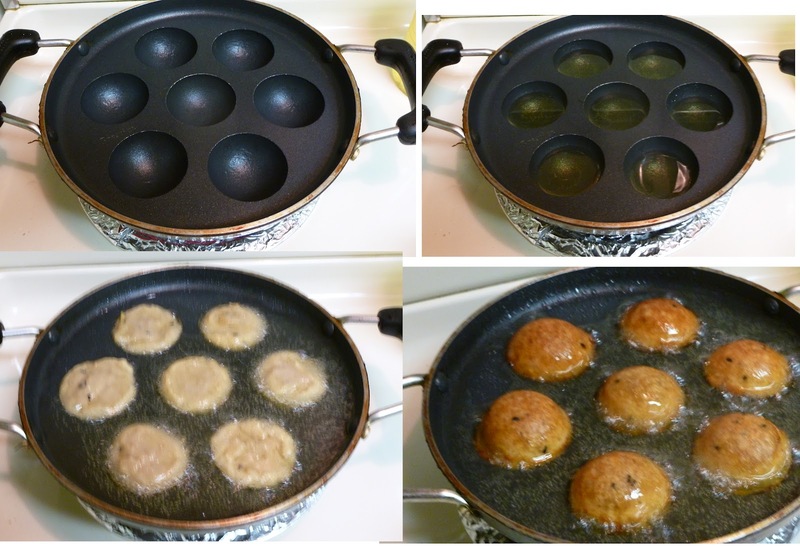 Heat up the stove with Appam Pan/Vessel, pour ghee/oil just to fill half way of the holes in the pan. Pour a spoon full of batter into each holes, let it cook for few minutes till the bottom become light brown color. Let it cook for few more minutes, check on both sides for the brown color and take them out of the pan with bamboo skewers/puttu stick or with a spoon or a fork.